In this ever-dynamic and crowded world of the internet, gaining visibility for your brand could prove to be a challenging task. It is said that, on an average, people carry out more than 2.2 million searches in Google on any given day. And there are also the other search engines like Yahoo, Bing and others, which have comparatively fewer users. Nevertheless, as search engines evolve, what worked for you yesterday may not necessarily work for you today, and for that matter, what works for you today may not work for you tomorrow. However, the success of your business largely depends on where you show up in these search results. In fact, according to a recent study by a US-based digital marketing company, the second page of a Google search result is visited by less than 10% of people, and if your brand is showing up on the second page, you’re nearly invisible. Having great products or services to offer but not giving it the visibility it deserves is akin to you digging the grave for your own business, and this is where you need to understand the importance of SEO. Most people might be aware that SEO is the acronym for ‘search engine optimization’, but what should be optimized for the search engines? The first thing that comes to our mind when we hear the word SEO is ‘keywords’. So would, just optimizing the content of your business website by stuffing it with ‘keywords’ help you in ranking high on search engines? Well, it used to do the trick in the past and many websites from around the globe have misused it to their advantage but with the recent introduction of Google’s Panda updates, longer and more unique content is more favoured. This means that Google will now not just look into keyword density in your webpages but also the quantity, quality, and relevance of your content, and hence content optimization is a key factor for SEO in the years ahead. Having said that, in this era of changing trends, SEO is not just about content but much more. Let’s take a look at the other aspects of SEO that would help your business reach the top ranks of search engines. There are basically three types of SEO techniques and you must choose your type wisely. As the name itself suggests the ‘White Hat’ is typically SEO best practices by following the recommendations suggested by search engine companies. This includes having relevant content, well-labeled images, relevant links and references, complete sentences with good spelling and grammar, standard-compliant HTML and, unique and relevant page titles. Generally ‘White Hat’ SEO is aimed at the human audience and not for search engine bots, and it tends to produce results that last for a longer period and help you build a sustainable audience for your business. 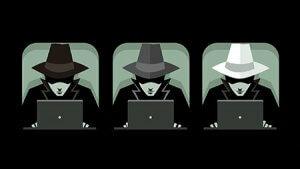 ‘Black Hat’ SEO, on the other hand, is about SEO techniques used not keeping the human audience in mind but to trick the search engine algorithms, and push your website up in search results. It employs duplicate content, invisible text and stuffed keywords, clocking or redirecting users to another site or page, and creating links from other sites with non-relevant content. While this type of SEO might give you immediate results, in the long run you risk the chance of your website getting blocked either temporarily or permanently by the search engines. Then there’s the third type of SEO known as the ‘Grey Hat’, which is neither as transparent as the ‘White Hat’ nor as manipulative as the ‘Black Hat’. This type of SEO is purely intended for getting higher page rankings and not intended to trick the search engine algorithms. ‘Grey Hat’ SEO may include tricks such as creating backlinks to your website by means of guest blogs, scholarships etc., which might not be directly relevant to the products or services you provide. It works more like a brand-building practice. 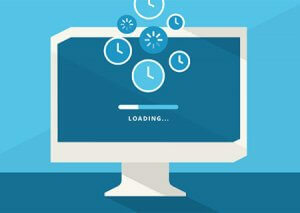 This is another major factor that affects the SEO of your website. According to a study by StatCounter, mobile and tablet devices accounted for 52.75% of internet usage worldwide in December 2018 compared to 47.15% by desktops. Hence the shift of trend is quite visible here and we can safely say that the numbers would have gone up by now and the major device used by people for browsing the internet is their smartphones. This calls for a responsive nature to your website, which would give a good user experience to your audience irrespective of the device being used. The speed at which your webpage loads goes a long way in determining your customer retention, which in turn is directly proportional to your ROI. As per Google/SOASTA Research, 2017, as your page load time goes from three seconds to 10 seconds on a mobile device, the probability of bounce increases from 32% to 123%. This is a good enough figure to tell you how much the page loading speed of your website could potentially affect your business. It is important to optimize the graphical and image elements on your page as bigger the size of these elements, the slower would the page loading speed. On-page optimization refers to what search engines see on your website, some of which we have already discussed like keywords, responsiveness, content etc. but it also includes other factors like title tag, SEO-friendly URL, and image alt text. A title tag is an HTML element that defines the title of a page. They get listed on search engine results pages (SERPs) as the clickable headline for a given result. This is important for usability, SEO, and social sharing. The title tag of a page is intended to be a precise description of a page's content. Also, the URLs for your webpages need to be SEO friendly. The URL structure can be determinable from tracking as well as shareability perspectives. It’s always better to have a short, descriptive and a logical URL for your webpages that’re relevant to the content of the pages. The ‘image alt text’ refers to the descriptions you give for the images on your page. To put it simple, treat it like you’re telling a blind person about what the image is about. It needs to be accurate to what that image represents. Off-page SEO refers to a set of activities that doesn’t happen immediately on your website. 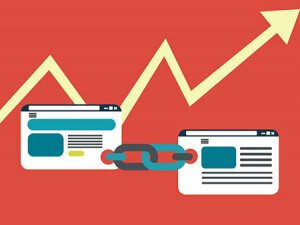 Nevertheless, it’s important to incorporate off-page SEO techniques into your SEO strategy as it helps search engines to determine how the world perceive your website. The three main off-page SEO activities are link building, SMO, and social bookmarking. While ‘link building’ is creating links to your website from other sites and blogs, ‘SMO’ refers to Social Media Optimization. A website that is good and relevant is more likely to have references (links) from other websites; have mentions on social media platforms like Facebook, Twitter etc. and is more likely to be bookmarked and shared among like-minded users. Off-page SEO is a great means for increasing the rank of your website in search engines. Spericorn is a SEO company that has years of experience in offering SEO services for our valuable clients. We understand that your brand is valuable, and we take every effort in good faith to provide you with the right SEO strategy to give visibility to your brand.